Woodworking is a laborious job; this is because the activities as processing wood, cutting, fitting, etc, are involved in woodworking. Therefore it is important to use right woodworking tools which help to reduce the required labor and make woodworking much more convenient. 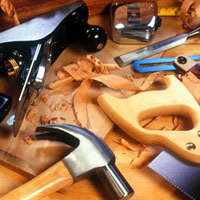 The woodworking tools are simple woodworking supplies as hammer, saw, etc, which are small and operated manually. However, apart from woodworking tools woodworking machines also are available for facilitating your projects. The difference between woodworking machines and woodworking tools is that woodworking tools are simple, small, and cheap. As they are small, they are usually portable and have to be operated by holding them in hands. They are used for simple woodworking operations jobs as cutting, fitting different pieces of wood in order to make any type of wood work piece. On the other hand, the woodworking machines are large and are usually costly. They are used for the activities as processing of wood and even creating new wooden artistic objects. There are several woodworking tools used these days. The most commonly used among them is a saw. There are different types of saws such as Japanese saws, dovetail saws, cross cut saws, Tenon saws, bow saws, chain saws, etc. They are used for cutting. However, before cutting the wood, it is to be marked with woodworking tools such as markers and majoring tools. The tools as measuring tapes, squares, rules, etc are required for measuring and the woodworking tools as marking gauges, knives awls, play a very crucial part in marking marks before cutting. Marking is very crucial part of woodworking. This is where the skills of the wood workers come into picture. 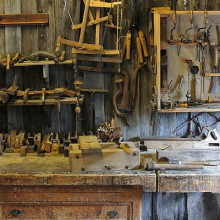 Then the third most common woodworking tools are hammers. The hammers are required to fix nails with which the different pieces of wood are fixed together to make the work piece. Apart from nails, screws also are commonly used for fixing the different parts of the work piece. For using screws, we first need to drill holes in the wood. The drilling machines are the tools for this purpose. Then the next important categories of woodworking tools are the chisels, scrappers and carving tools. 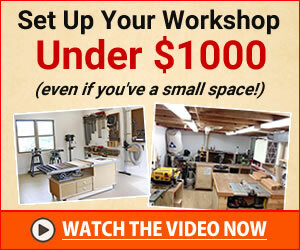 They are required for a number of small activities involved in woodworking. The finishing of the wood work pieces also is an important part of woodworking. There are some woodworking tools used for finishing also. The wood planes are used for smoothening and regularizing the surface. Scrappers and polishers as sandpapers, steel wool and other abrasives also are useful for smoothening of the surface. For additional support for fixing the different parts, the work piece together wax or adhesives are applied along with the nails and screws. The work piece is also generally colored of polished with varnishes, colors etc. therefore the woodworking tools as brushes, or sprayers also are required. These are only among some of the common woodworking tools that every wood worker should have. All the above-mentioned tools are cheap and therefore even the non-commercial wood worker too may have them in his collection of woodworking tools.